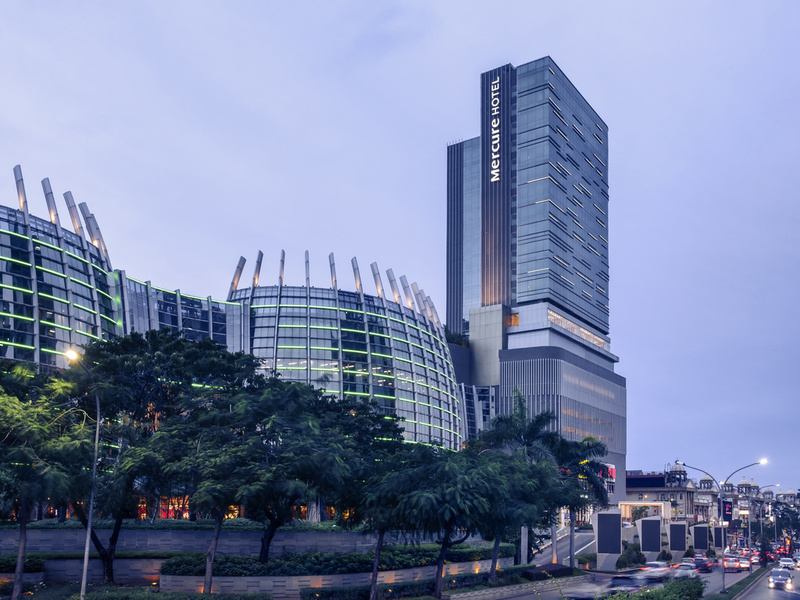 Stay, shop, meet, dine and feel welcome at the new icon of North Jakarta. The team and I look forward to welcoming you to a unique Pantai Indah Kapuk experience. Mercure Jakarta Pantai Indah Kapuk is a midscale hotel located conveniently at Pantai Indah Kapuk, the most popular area in North Jakarta. With direct connection to PIK Avenue Mall, it offers 240 comfortable rooms and suites designed for modern business and leisure travellers. Facilities include an All Day Dining restaurant, 5 meeting rooms, outdoor swimming pool, spa and fitness centre. It is a short drive away from Soekarno Hatta International Airport and the business hubs in North Jakarta. Jakarta is the capital of Indonesia, located in the island of Java. It is influenced by a historic mix of Javanese, Malay, Chinese, Arab, Indian and European cultures. Mercure Jakarta Pantai Indah Kapuk offers 240 comfortable rooms and suites that are designed for modern business and leisure travellers. NSNTR is our All Day Dining restaurant located on level 8. It features both Indonesian and Western cuisine in buffet and à la carte options. Indulge yourself in our Lounge Bar, which offers a wide selection of coffee, tea, wines, cocktails and mocktails to compliment our delectable snacks and pastries. An excellent place to meet and catch up with friends. NSNTR bar, which has access to the pool, is the perfect place to unwind over Indonesian themed cocktails and snacks.